I always love when our grown kids come home for dinner. It is always a fun night, with a lot of laughter around our table and they are ALWAYS looking for a good, home-cooked meal from their Mom! (I made the mistake one night when I thought it would be fun to order pizza….HUGE Mom fail) Dinner tonight was hearty, spicy, and delicious on a blustery Fall night! Stir in beans, tomatoes, chilies, corn, and spices. Add stock and season with salt and pepper. Simmer until chowder is hot and flavors have developed 40-60 mins. * I am sure this would also do great in a crock pot on low. While serving chowder, garnish with diced avocado and a squeeze of lime. Oatmeal….one of my favorite “comfort foods” for Fall and Winter (and really anytime) It warms me up, makes me happy and cozy, and is CRAZY healthy for you! I try and mix it up a bit, depending on my mood and the weather. 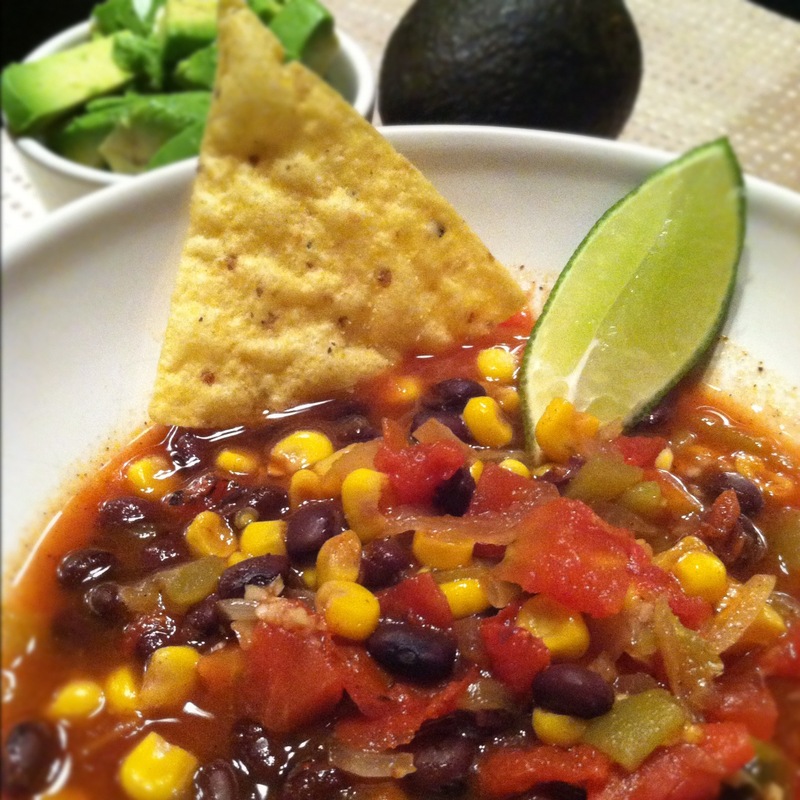 With Fall here, I was so happy to “fall” across this recipe that I varied a little. The night before: Mix toppings in a small container and cover until the morning. Add all the ingredients except the toppings. Cook on low over night 7-8 hours depending on how chewy you like your oats. In the morning: Stir your oatmeal well. It may seem watery at the top but if stirred it should be a more uniform consistency. Top with coffee cake topping. I have been searching around for some great, Fall recipes. I always love using seasonal fruits and veggies while cooking. 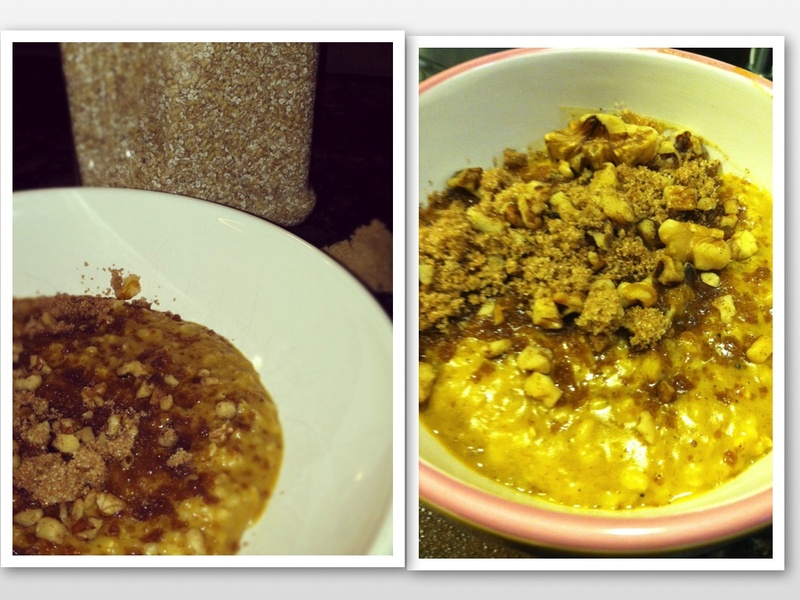 And just as much as I love fresh-picked Fall apples….HELLO Apple Crisp!…I love Butternut squash! Anything, with Butternut squash. 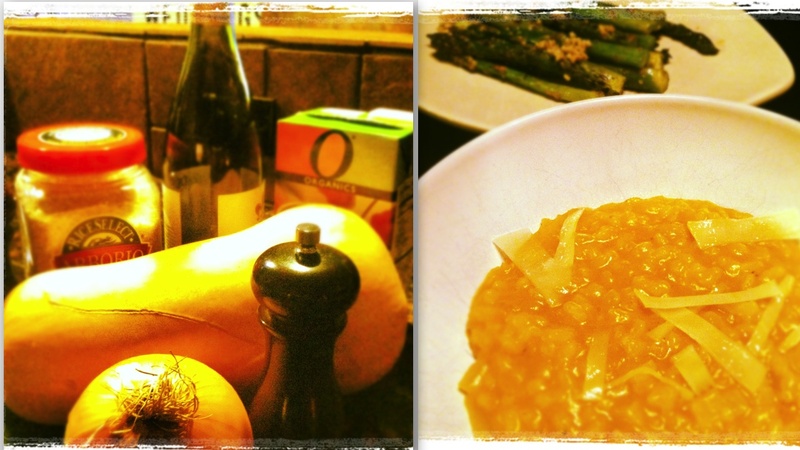 This risotto takes some time in preparation/cook time, but was SO worth it when finished. It was so creamy, and had such great flavor. Perfect for a chilly Fall evening. Melt butter in a saucepan over medium-high heat. Add onion; cook and stir for 2-3 minutes until the onion begins to soften, then stir in the rice. Continue cooking and stirring until the rice is glossy from the butter, and the onion begins to brown on the edges, about 5 minutes more. Pour in the white wine; cook, stirring constantly, until it has evaporated. Stir in the mashed squash and 1/3 of the hot veggie stock; reduce heat to medium. Cook and stir until the rice has absorbed the veggie stock, 5 to 7 minutes. Add half of the remaining veggie stock, and continue stirring until it has been absorbed. Finally, pour in the remaining stock, and continue stirring until the risotto is creamy. Finish by stirring in the Parmesan cheese, and seasoning to taste with nutmeg, salt and pepper.